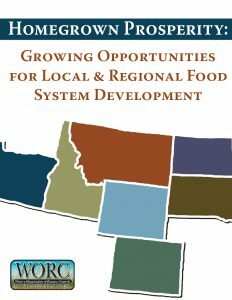 This report summarizes state legislation related to the development of local and regional food systems, either passed or defeated between 2005 and 2016 in WORC states: Colorado, South Dakota, North Dakota, Wyoming, Montana, Oregon and Idaho. This summary may not be comprehensive in all states as it does not include state appropriations bills in detail. State policy often changes quickly; this summary reflects research conducted in July 2016. 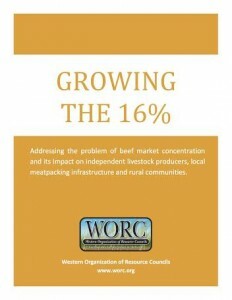 Growing the 16% addresses the problem of beef market concentration and its impact on independent livestock producers, local meatpacking infrastructure, and rural communities. Instead of trying to break up the four packers who bought 84% of the cattle raised by America’s ranchers, we turned our attention to the ranchers and small packers and processors who buy the rest of the cattle – the 16% of the market that isn’t controlled by major meatpackers -- to expand and enhance that market as a viable alternative for producers and consumers. 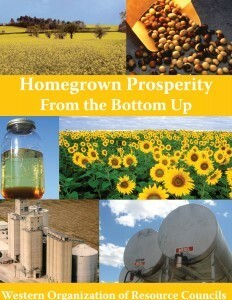 Homegrown Prosperity from the Bottom Up provides policy makers and prospective producers with information on small and community-scale biodiesel production. 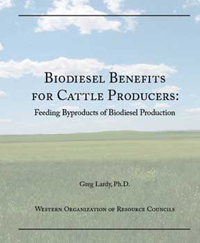 Biodiesel Benefits for Cattle Producers reviews data on the nutritional value of biodiesel byproducts as feedstuffs for cattle in the Northern Great Plains. 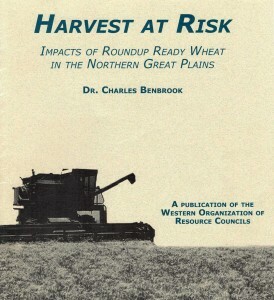 Harvest at Risk finds that the cost of GM wheat to wheat farmers would be more than benefits. 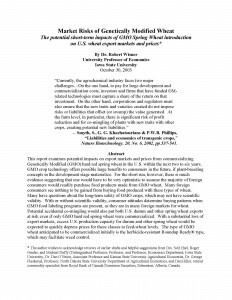 A Review of the Potential Impacts of Commercializing GM Wheat in the U.S.
Introduction of genetically modified (GM) wheat would drastically drop the price of wheat for farmers in the United States, according A Review of the Potential Market Impacts of Commercializing GM Wheat in the U.S. The report concludes that wheat buyers in Europe, Japan, and other Asian countries are likely to switch to GM-free wheat from other countries if GM wheat is introduced in this country. As a result, the price of U.S. hard red spring wheat would fall 40%, and the price of durum wheat would drop 57%. Introduction of genetically modified wheat in the U.S. still risks the loss of 25%-50% of U.S. hard red spring wheat and durum exports and up to a 33% price plunge, according to Dr. Robert Wisner, a leading grain market economist. 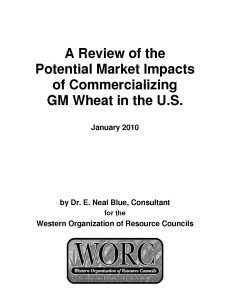 Monsanto postponed release of genetically modified wheat in May 2004, compelled by market resistance documented by Dr. Wisner in October 2003. These risks remain large despite some policy changes, trends and other developments since October 2003 that could affect the market risk of introducing genetically modified wheat. 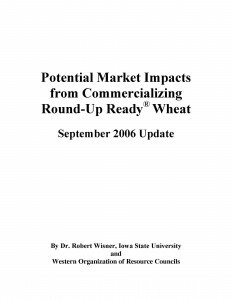 Potential Market Impacts from Commercializing Round-Up Ready® Wheat updates the earlier report. 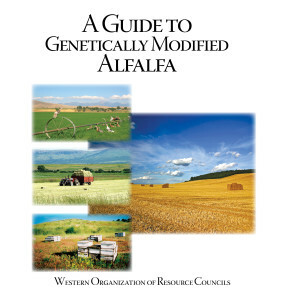 Guide to Genetically Modified Alfalfa examines the risks for alfalfa producers, consumers, the environmental, agriculture, and farm economy.